Ok, remember how I said I was hoping I'd have something really cool to share? I do! I finished a quick project that's been on my mind for some time. 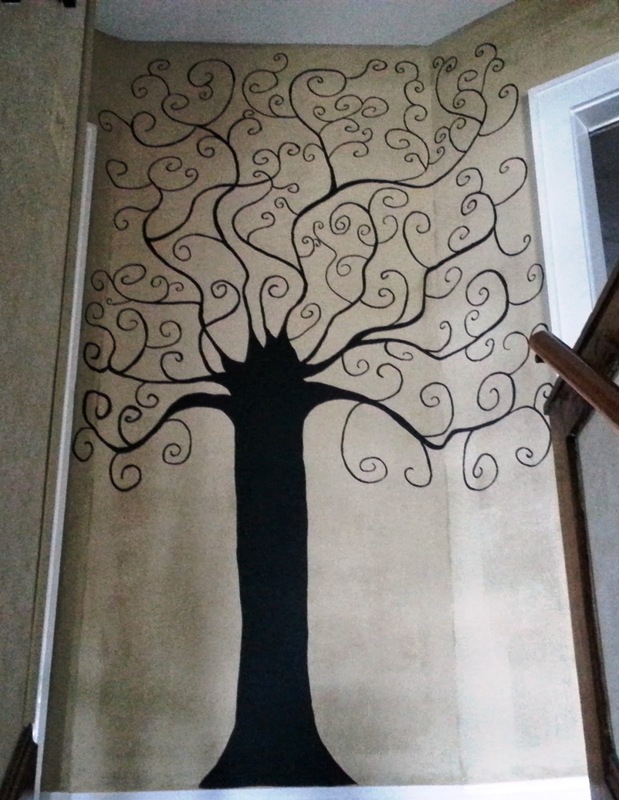 And I pencil drew it on the wall upstairs and painted it in yesterday. Ta-da!!! 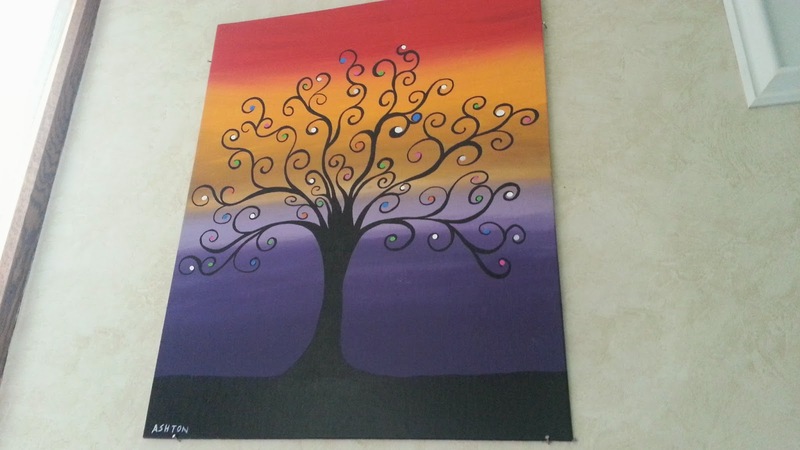 My idea is we buy a bunch of small pictures frames and fill them with photos of friends and family and our trips together so it's the tree of our life. :) Cheesy right? Anyway, there it is!! I gotta admit I'm pretty proud of it. You should be, it's phenomenonal!